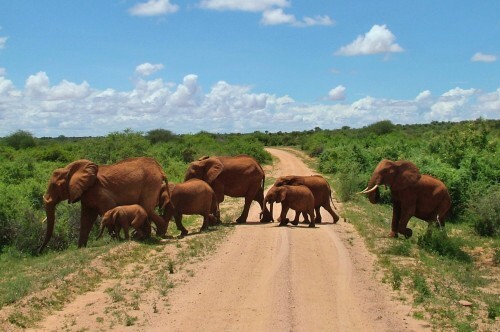 Cheap flights to South Africa: Johannesburg for €412! Virgin Atlantic in cooperation with British Airways now offer cheap flights to South Africa. 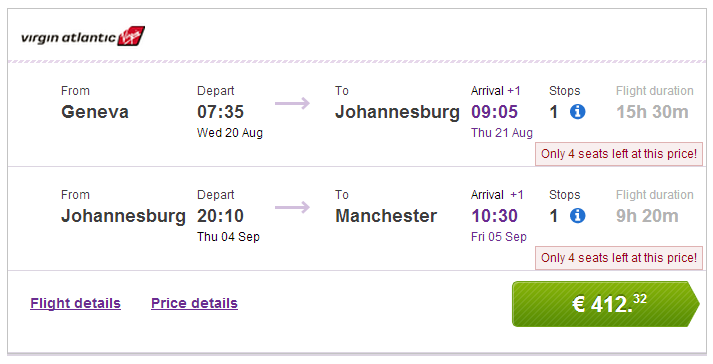 Multicity tickets Geneva – Johannesburg – Manchester are available for only €412! Easyjet and Ryanair have cheap flights from both Geneva and Manchester. Book via BudgetAir (click on Show extra search options to enter return to Manchester). « Super cheap return flight to Netherlands: Brno-Eindhoven for €16!